Is Thanksgiving still Thanksgiving without the turkey? Yes! Perhaps turkey is not your fowl of choice. Perhaps you and your family have tired of the same Thanksgiving meal centerpiece. 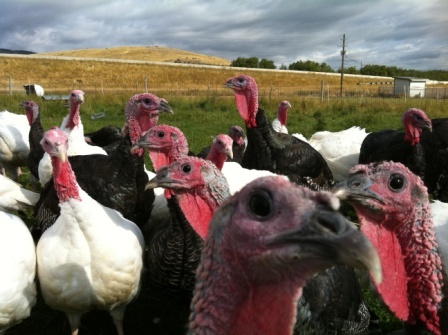 Truthfully, it’s been a difficult year for turkey in Utah this season anyway. Many poults (baby turkeys) from Utah’s various turkey producers were either infected with H1N1 or failed to thrive. 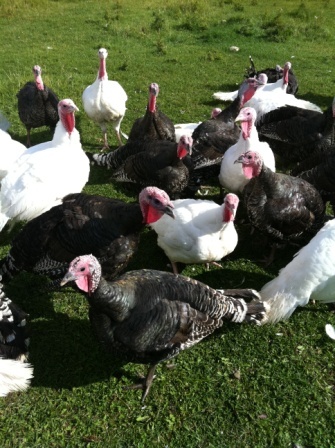 So finding a fresh turkey for your holiday table is a going to be a little harder than usual anyway—although you can check out my article in Devour Utah magazine for a list. Instead, you might want to consider a non-traditional meat entrée this year. And you’re in luck, because Utah has lots of options to make your day memorable. At Liberty Heights Fresh, order wild game for your holiday meal including rabbit, goose or quail. Orders should be placed now in time for Thanksgiving. Utah Natural Meat will instead be offering whole chickens and hams for your feast. 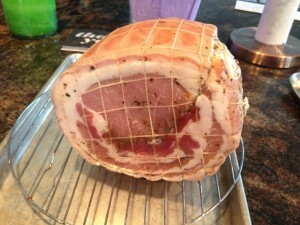 Or head over to Salt & Smoke Meats to order your locally raised ham (raw $6/lb., brined $6.5/lb., or smoked $10.50/lb.) Beautiful porchetta can grace your table for $9.99/lb. with a small weighing approximately five pounds and feeding 4-6 adults and a large approximately 10 pounds for 8-12 adults. A shoulder roast can be obtained for $6/lb. raw or $6.50/lb. brined which will happily fill 6 adults for a small or 10 adults as a large (approximately 12 pounds). Orders can be placed in advance by calling Cassie at 801-671-0896, also ordering instructions are on their website. The shop will be open extended holiday hours on November 23-25 from noon to 5 p.m.